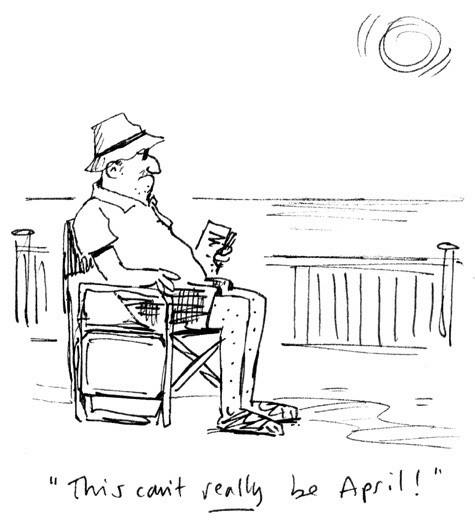 As expected, Saturday was something of a scorcher down at the seaside. 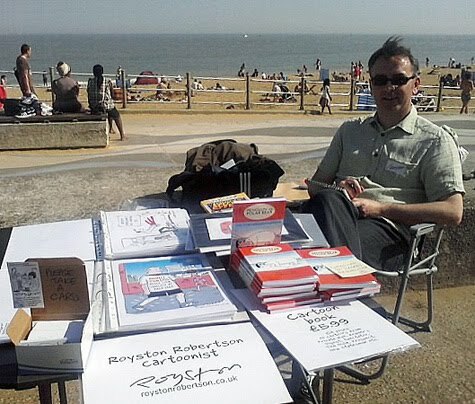 I had a small table selling my wares at the grand opening of the Great Wall of Ramsgate, and a fun day it was too. There were other people selling watercolours, oil paintings, crafts etc, but it was not really an art-buying crowd. Those attending were, perfectly understandably, more interested in acquiring ice-creams and cold drinks. But I sold a few cartoon books and made a profit so I was happy at the end of the day. The GWoR organisers only charged us £5 for a spot, so it seemed rude not to turn up and support the event! My spot was opposite my wall cartoon, as you can see from this photo comparing it with the book version, as suggested by my son, who also took the pic above. 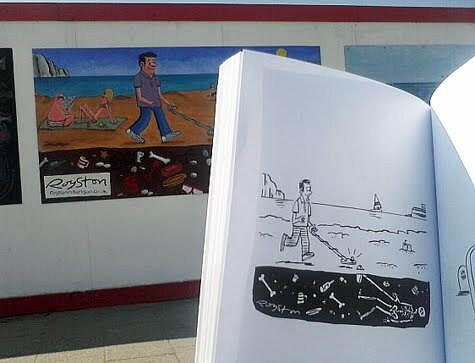 As is usual with such events, I got a kick out of seeing the public reaction to my cartoons, in the book, the prints and originals on the stall, and of course, the 4ft by 8ft one on the wall. If laughs could be converted to cash, cartoonists would be rich! Here's a virtual walk of the Great Wall put together by the GWofR organisers. Well worth a look, see if you can spot mine! Hi John, yes lots of local artists were invited. We were each given a board to do which we completed at our homes/studios. The GWoR folks then collected them and put up several at a time. They are painted in acrylics which are hard-wearing. They need to be as the weather on Ramsgate seafront is not always as nice as it was on Saturday!